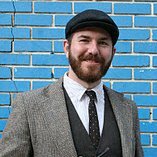 We have already spoken a lot about OData, but I’d like to circle back to underscore the main usefulness of Questionmark’s OData API for Analytics. OData is a handy way to get access to the same raw data that drives the reports in Questionmark Analytics. It’s a very useful tool to have in your belt if you want to use another reporting engine or business intelligence tool to analyze, explore, and report on your data. We have mentioned tools like Microsoft Excel PowerPivot and Tableau Public as easy-to-use platforms for exploring OData feeds, but every month I learn about a new application or reporting engine that consumes OData feeds. Tableau Public dashboard showing assessment performance by country and job title using the Questionmark OData Results feed. For example, I recently learned that the R Project for Statistical Computing (“R”) has an XML package that can be used to read in specific data from an OData feed. You can then write a program to read in data from the Questionmark OData feeds for statistical analysis. I used this R package to read in response data from the Questionmark OData Answers feed, which I then used to calibrate a set of polytomous items with the generalized partial credit model. R can be used for just about any analysis, but this example would be useful if you wanted to score your participants with an item response theory (IRT) model instead of the classical test theory model used in Questionmark. 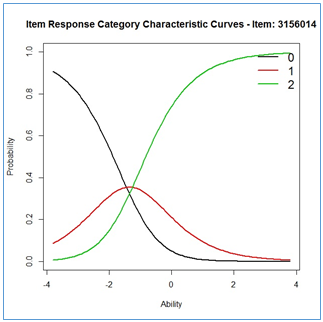 Item characteristic curve generated in R using polytomous response data from the Questionmark OData Answers feed. For research and analysis, I like OData as a way to automatically access my data instead of having to manually export and merge data files. Of course, raw data can be messy! And OData URLs can take some time to learn, which is why we are continuously working to improve our client tutorials and developer resources so that people can use this technology effectively. Customers who attend the Questionmark Users Conference will have opportunities to learn more about OData, which we will focus on during a number of different sessions.